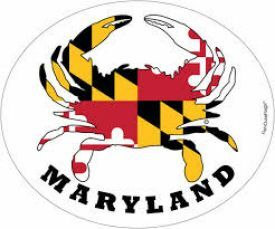 Oval Magnet with a crab and the Maryland flag. Oval magnet 4.5" X 3.75. " Designed in Maryland and made in the USA.